At Horizon we don’t just want you to workout, we want you to come and relax. 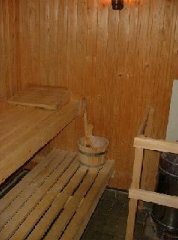 The sauna is traditionally the ideal way to unwind and fully relax those tired, aching muscles. Spoil yourself by stretching out and allowing the therapeutic heat to rejuvenate you. Use of this facility is FREE to members.